Kung Fu is a Chinese martial discipline that cultivates an individual's inner strength and fortitude, promotes holistic health and personal awareness, and instills a sense of self-worth and universal respect for the world. The product of two Chinese characters - gung (功), meaning achievement, and fu (夫),signifying man, Kung Fu, in its most popular Romanization, refers to the time and effort put forth toward the attainment of a specific skill. The term can be applied to any expertise in nearly any field. It is quite common for the head chef of a restaurant or an experienced software developer to be considered to have excellent Kung Fu in their respective fields. However, of all the various fields of skill to which Kung Fu can be applied, the most widely held use of the term belongs to martial arts. Typically, the fighting arts in China are known as mou seut (武術; wushu in Mandarin) - martial arts, or gwok seut (國術; guoshu in Mandarin) - national skill. However, the worldwide recognition of Kung Fu as the universal term for Chinese martial arts has made it the default expression for the fighting and healing arts of China. In essence, all Chinese fighting methods are a fusion of what was considered the finest, most effective, and field-tested techniques of a particular time period. Many martial methods were derived from military-based maneuvers that were modified to suit civilian needs such as defending against invading bandits and merciless marauders. 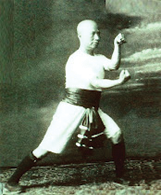 A comprehensive system, or paai (派), typically assimilated the most effective techniques of experienced fighters - at times grafting combative movements onto preexisting principles or merely supplementing the existing methods with complementary practices. A style, also known as kyun (拳), characteristically contains a core curriculum of approximately three or four training sequences that define the style's theories and principles. This training regimen is usually accompanied by instruction in the use of a long and short weapon. Ga (家) - literally family, refers to a village's ancestral fighting formula. 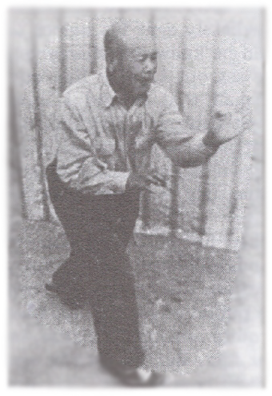 In some cases, the techniques are a basic assortment of self-defense methods organized into sound sequences; in other instances, principles and theories were developed by pioneering individuals with the vision and foresight to preserve the fighting methods for future generations within the community. Traditionally, these terms were designated to delineate the different classifications of martial clans. Today, these titles are typically used interchangeably in attempts to redefine certain genealogies or to establish alternative lineages. Classical Kung Fu typically refers to a traditional martial training program based upon an established curriculum bounded by a moral code of ethics to convey a comprehensive understanding of Chinese combative and healing arts. A typical mou gun (武館), or training hall, will have a sifu (師父) who is the head instructor of the school with a core of senior pupils who will address the needs of new and intermediate members. The training syllabus consists of foundational exercises, prearranged martial routines, technical applications, sparring, weaponry, and healing principles. Casual participants train in a manner that addresses personal needs such as acquiring a sense of discipline, self-defense, or personal growth; serious practitioners have the desire to teach the system and do so by becoming indoctrinated as a disciple of the sifu. Contemporary Kung Fu is typically classified as Wushu (武術), which is the pinyin Romanization of the term martial arts. Nearly a decade after the People's Republic of China was established in 1949, Wushu was formulated to reflect the aesthetic and athletic aspects of Chinese martial arts. Under state supervision, a specific standard of protocol and practice toward martial training was instituted within a sports-science methodology. 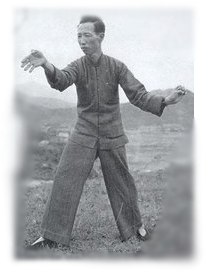 Movements taken from classical Kung Fu were structured in a manner that merged martial maneuvers with refined athleticism. 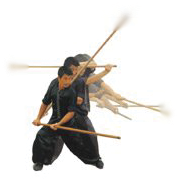 To address the comprehensive nature of Chinese martial arts, Wushu is divided into two disciplines: taolu (套路) and sanda (散打), whereby taolu focuses on forms and sanda concentrates on fighting. As martial arts continue to evolve around the world, Wushu coaches - generally former Wushu athletes, have begun to find that what was once considered contemporary has begun to be categorized as classical as well. With the push to be recognized globally through international level competition - particularly Olympic-level status, sport Wushu has adapted a scoring system employing degrees of difficulty to movements that are strictly for athletic and aesthetic ability rather than to accentuate the inherent martial application within the techniques. This has caused a great divide within the community of Wushu practitioners as contemporary practitioners themselves are categorized as classical Wushu stylists within the framework of these new judging criteria. Naam kyun bak geuk (南拳北腳) - Southern fists, Northern legs, has customarily been used to describe the technical preferences between Southern and Northern fighting systems. While no Southern fighting system can rely solely on hand techniques and no Northern counterpart can commit completely to leg methods, this phrase has consistently been used to address the distinctions between the two martial regions separated by the Yangtze River. It is believed that environmental factors such as confined quarters and vast open terrain contributed to molding the manner in which techniques were emphasized within each region. 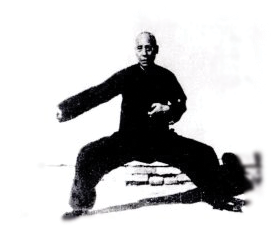 Southern styles such as Wing Chun, Fujian White Crane, and Five Ancestors Fist noticeably accentuate the use of intricate hand techniques while Northern systems such as Northern Shaolin, Eagle Claw, and Praying Mantis are very clear examples of how leg maneuvers were emphasized within Northern settings. Again, these characteristics are gross generalizations at best and generically informative at most. Noiga kyun (內家拳) and ngoi ga kyun (外家拳) are descriptors traditionally used to distinguish an integrated and holistic approach to training and execution as opposed to a more athletic and physical method of practice and performance, respectively. 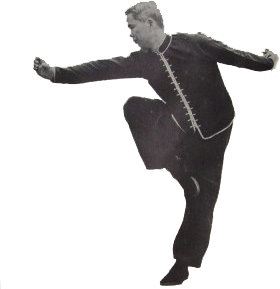 An integrated approach emphasizes energetic optimization achieved through the cultivation of qi (氣; hei in Cantonese) - or vital energy, to reinforce the individual's physical framework and concentrated expression of martial techniques. A reliance on connective tissue, such as tendons and ligaments, usage rather than sheer muscular strength in combination with relaxed and even movements led by the principles of breath management, or qigong (氣功; hei gung in Cantonese), typically characterizes the nature of internal arts. 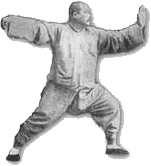 Conversely, lin gung (練功), the rigorous physical conditioning and aerobic training exercising complete muscular might, typifies the structure of external martial arts in its most extreme representation. Rather than used as an energetic enhancement embedded within standard practice, qigong is generally a supplemental activity used to balance the rigidity of muscular development. Again, these generalizations have also been a pervasive guideline within Chinese martial arts that has served to demarcate and segment styles and systems into one of these two distinct categories. While it may be safe to say that the initial approach toward training may fit in either category, the reality is that neither method is exclusive of the other in advanced levels of martial training. Kung Fu challenges the individual to excel and exceed all previous measures of personal success. It instills within the individual a determination and passion to accomplish goals pertaining not only to Kung Fu, but more importantly, to the aspirations and objectives found throughout all parts of the practitioner's life.